Just when your baby is finally sleeping through the night and you begin to get your life back, your baby turns into a toddler and guess what? You encounter a whole new inevitable set of challenges such as pottytraining, preparing for a new sibling, and dealing with tantrums to name a few. Don’t fear! Mommybites created our new Toddler Seminar Series to help you maneuver through these stages successfully and with piece of mind. Join us for one session or for all three (Sibling Preparation, Positive Discipline & Pottytraining) – your choice! Our top parenting experts will be on hand to answer all of your questions. This is an adult only event. Spouses are welcome. 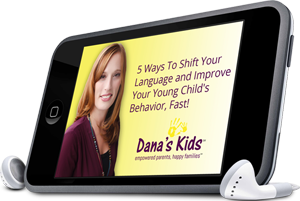 This session will be led by Dana Rosenbloom of Dana’s Kids. Please note: you must attend a seminar in order to receive your gifts. This entry was posted in Dana's Kids and Mommybites, Dana's Kids Workshops, Mommybites, New York City Parent workshops, NYC parent education, NYC parent workshops, parenting workshops NYC, Potty Training, Uncategorized and tagged Dana's Kids and Mommybites, Dana's Kids and potty training, nyc potty training workshops. Bookmark the permalink.